D'Addario Planet Waves Custom Series 1/4" Patch Cable 2 ft.
Cables that transmit your sound concisely due to the high-quality components inside. Planet Waves Custiom Series Cables are built for discerning musicians who use them under the most demanding situations. Planet Waves cables offer built-to-last durability, while accurately transferring the subtle details of your tone through their exclusive In/Out technology. 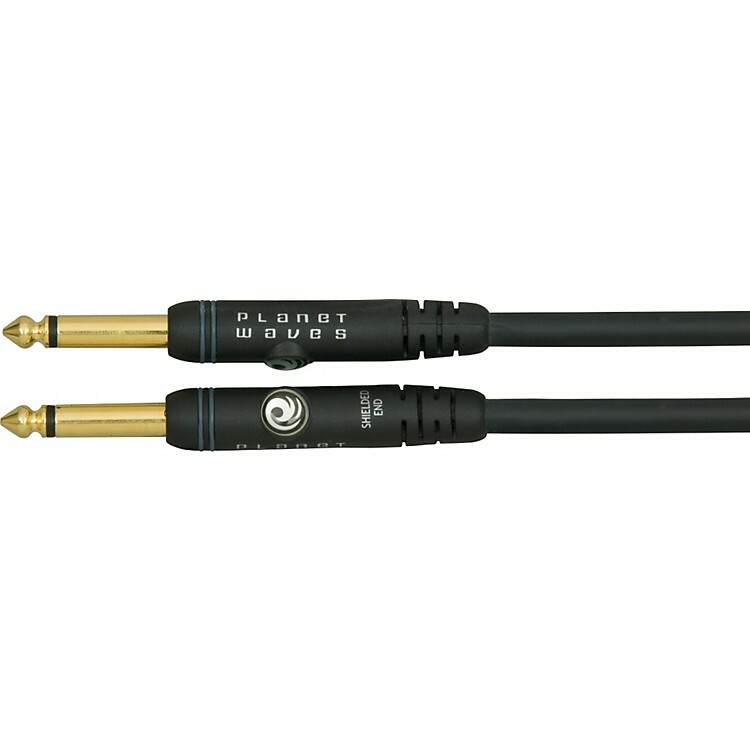 Planet Waves Custom Series cables feature ultra-pure, twisted pair, oxygen-free conductors with encapsulated soldering points formulated for extremely low capacitance. This ensures pure signal clarity and precise transmission of your instrument's true character. Additionally, 2 layers of impenetrable noise-rejecting shielding, coupled with unmatched strain relief in Planet Waves cables deliver the ultimate high-performance cable. Ditch your crappy cables and get the truest sound your instrument can deliver.